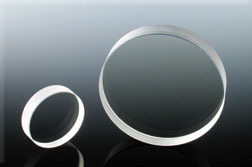 Precision linear polarizer’s consist of a thin sheet of dichroic polymer sandwiched between two plates of BK7 optical glass. The polymer has been stretched and stressed in one direction to align the long polymer molecules. This creates a filtering effect, permitting light waves oscillating parallel to the direction of stress to pass while blocking there polarizations. They produce a high extinction ratio of about 1000: 1 and have a wide angular acceptance range. These polarizers are useful throughout the visible spectrum. 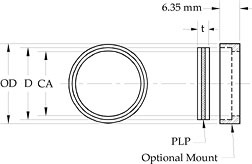 Normally precision linear polarizer’s are supplied unmounted but they are also available in a metal ring mount. The outer protective glass may be anti-reflection coated if required. 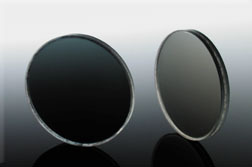 These polarizers are also offered for the ultra-violet and near infra-red wavelength regions.